Bring a little whimsy to your household. 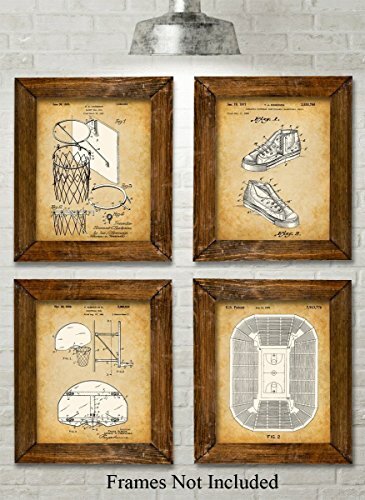 These four prints show patents filed between 1925 and 1999. The original patent artwork has been reinterpreted by award winning artist Norm Lanier. * READY TO FRAME - You get four 8" x 10" prints. 8" x 10" frames are super easy to buy here on Amazon or at any department or craft store. Choose the frames that work with your decor. * MADE TO LAST - The four prints are printed on Fuji Crystal Archive paper for a lifetime of enjoyment.